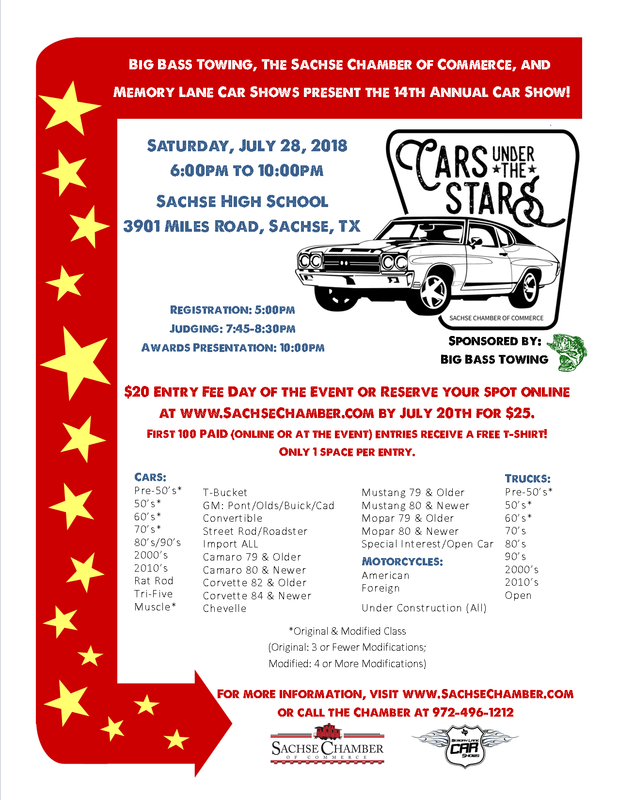 The 14th Annual Cars Under the Stars car show is Saturday, July 28th. Check out the new location – at Sachse High School. This will give us more room for more cars, better spectator parking, more vendors, and food trucks!